Experience is required for this interesting seven mile loop which usually takes around 2.5-3 hours. Starting in Gloucester Docks’ main basin we head into the lock and drop down onto the River Severn. From here we paddle over the weir, which is always a bit exciting, then downriver for four miles. We exit the river at a slipway in Elmore and carry the boards a few minutes up the lane onto the canal at Rea Bridge. 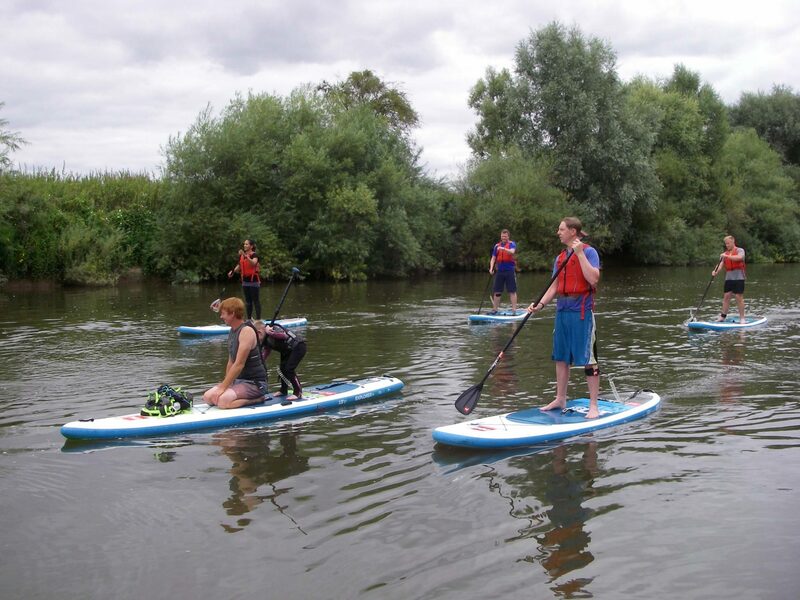 It’s then a three mile paddle back into Gloucester Docks where we started. Meet at Shipton Square, GL1 2EN at 1pm. £28 all equipment provided including wetsuits if required. Bring your own board and equipment to join in for free!